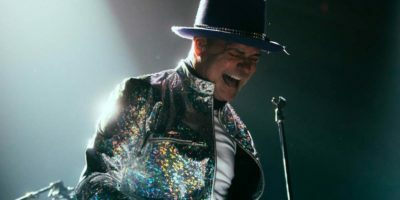 Few bands plumb the depths of Canadian identity as voraciously and specifically as the Tragically Hip, but it’s a shame how little of their catalogue actually gets celebrated. Since the Hip formed in Kingston, ON in 1984, they’ve built a well of treasures that reaches far deeper than the songs that pervade your stay at your friend’s cottage, so we assembled a list of some of their most underrated songs. There’s a good case for the argument that this is one of the most accurately rated Hip songs around. Slowly revealing each member’s different parts until they coalesce in the song’s choruses, it’s a stirring, entrancing entry that the band wisely deployed both as the first single and opening track for 1994’s Day for Night, and they’ve regularly used it as a concert opener since. But it’s a shame these choices mean the song’s almost always treated as an appetizer for something more and not a part of the main event itself. Few Hip songs are as pointedly hypnotic, and live that often produces some compelling skits and lyrical improvisations from Downie. The Hip went for softer, more inwardly ruminative alternative rock on Trouble at the Henhouse, and in few places is that more effective than this study of cohabitation. Trouble at the Henhouse’s closing sequence was inspired by the birth of one of Downie’s children, and it’s a deeply meditative slow burner that rides a faint raga guitar and a lumbering beat into the desert of the mind. There’s an Eric’s Trip reference, too. Music @ Work is accurately evaluated as an ill-informed step into arena-rock territory, but you have to give the Hip and their subversion of the genre some credit. The band lays down some of its heaviest rock instrumentation on this one, and it spends its entirety hipping listeners to John Cage. That’s a win in my books. This soft spoken journey into the woods is the Hip at its most delicate. With even Downie’s poetic license suppressed here, there isn’t much more on “As I Wind Down the Pines” than some acoustic phrasing, some twinkling piano accents, some washed out field samples, and – oh yeah – backing vocals supplied by Sackville indie rock majesty Julie Doiron, but together they meld into a deeply evocative listening experience that rises well above the arena-rock grandstanding it’s associated with on Music @ Work. In Violet Light is easily the most underrated album in the Hip’s catalogue. Recorded mostly live with producer Hugh Padgham, it set much needed boundaries for the overly produced Music @ Work and ushered in some genuinely worthwhile art-rock, but by then a critical section of the band’s audience had been alienated. So while “It’s a Good Life if You Don’t Weaken” tethers Downie’s anxious, imagistic brooding and the band’s dynamic impulses to a woozy, magnetic phase guitar that peaks and stretches with a bigness that’s impossible to resist, few have dog earred that page of their catalogue. It’s on few tracks that Gord Downie’s regional perspective gets a chance to probe countrywide assimilation with the fiery intent they do here, and that’s a damn shame. Mainstream fans gave up on relying on the Hip to deliver suitable, reflective anthems for the Canadian experience by the mid-2000s, but here in World Container’s opener we have Downie detailing a familiar Ontario cottage luxury image, all while dealing a humbling message about man’s place in nature. Here we have a rich, dramatic elegance reminiscent of Echo and the Bunnymen’s standout “The Killing Moon” coupled with the lyrical voice of a mad scientist, all filtered through Downie’s questioning poetics. And, considering the band has just released an album and embarked on a final tour that both borrow its name, we might too have the key to a deeper Hip mythology in this 2012 sleeper.